As a ‘brand ambassador’, you sometimes get the opportunity to take a closer look at the manufacturing side. That was the case for me in late June, when I had the pleasure of visiting the luxury watch manufacturer Vacheron Constantin, headquartered in Geneva and rich in tradition, for two days. 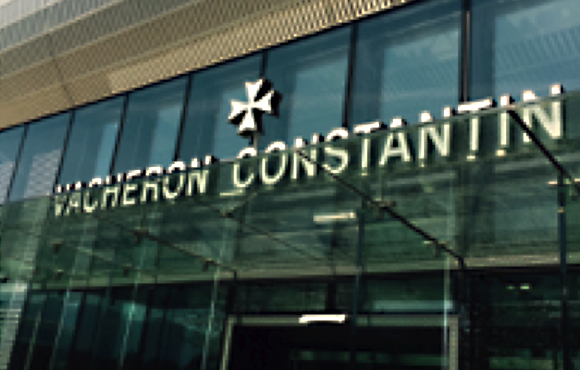 However, it becomes clear that methods at Vacheron Constantin are not antiquated as soon as you enter the architecturally highly technical new build in Plan-les-Ouates. After an enjoyable flight from Frankfurt to Geneva on the morning of 26 June, I received a warm reception at Geneva airport and was introduced to the other participants in the group. The make-up was very international, because in addition to colleagues from other Wempe branches, the brand ambassadors from the Scandinavian, Dutch and Czech jewellers were also represented. 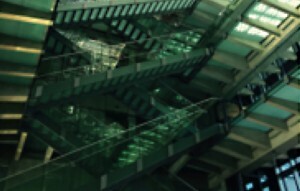 The first point on the agenda was a visit to the nearby Plan-les-Ouates, where the main manufacturing site is located. 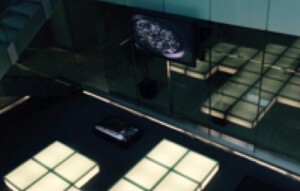 In addition to being the home of the head office, this is also where the shop assembly and final inspection of manufactured watches take place. On arrival, we received a very detailed tour of the various ‘workshops’. These were divided into incoming goods inspection, assembly of two- or three-hand watch movements, assembly of small complications, and, as a particular highlight, assembly of large complications. We had the opportunity to observe right over the shoulder of the watchmaker in each of the workshops. It was simultaneously impressive and fascinating to see with our own eyes how the little masterpieces are created by hand, and, in particular, to experience the calmness and painstaking perfection with which the watchmakers put together the movements like a little puzzle. The last stop of the day was a look behind the curtain at the final inspection. The watch is not only tested for water resistance and function there; special attention is also paid to the external appearance of the timepiece. A lot of effort at Vacheron Constantin is dedicated to upholding the standards of the Geneva Seal, one of the most respected quality seals in the industry. The subsequent dinner together gave us the opportunity to look back at the day, and there was an animated exchange with the other European brand ambassadors. Day two began with the transfer to the legendary and idyllic Vallée de Joux – the Swiss watchmaking Mecca. Anyone who’s anyone in the Swiss watch industry can be found in this dreamy little mountain valley in Switzerland – in the direct vicinity of the Vacheron Constantin watch production location, there are also facilities belonging to Audemars Piguet, Patek Philippe and other manufacturers. 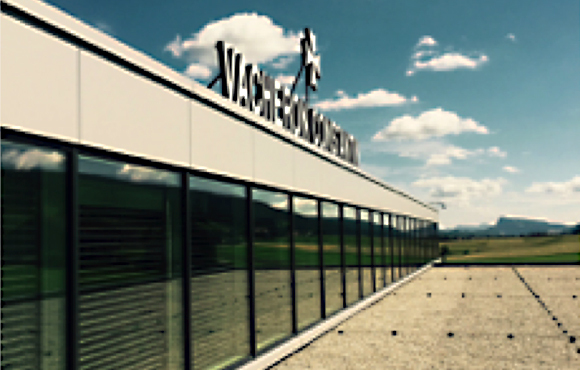 Vacheron Constantin has its movement and component production there in Vallée de Joux, in a little place called Le Brassus. The movement plates and bridges are machined from the raw material, neatened and then finished in laborious process steps there. The finishing involves rhodium-plating and decoration of the plates and bridges with complex adornments. Following final optical and technical inspection, the factory components are packaged and prepared for shipping to the shop assembly in Plan-les-Ouates. The last stop on the production journey was a tour of the famous Vacheron Constantin Maison in the heart of Geneva, on a peninsula of the Rhone. 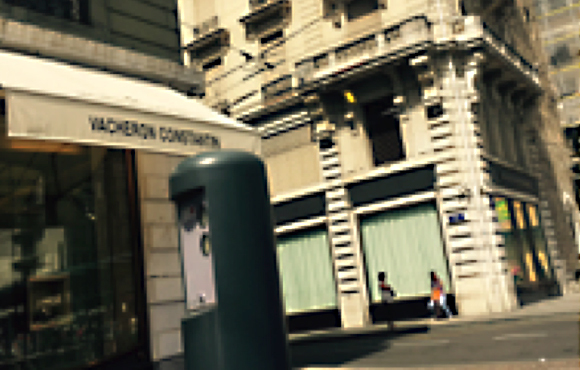 Today, the Vacheron boutique and archive are located there. Historic milestones of the company were proudly presented to us, and we also received a tour of the current temporary chronograph exhibit. After another very inspiring day and an official farewell, the participants headed back to Geneva airport to start the journey home. All in all, it was two very exciting and informative days in Geneva. A visit to Vallée de Joux is not just a stimulating experience for watch enthusiasts, and is certainly worth a trip for anyone.